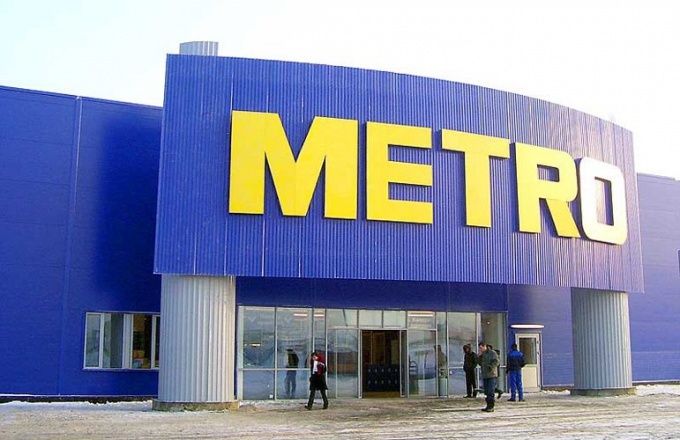 Shop METRO Cash&Carry has become very popular in our country and earned the love of the people due to its low prices and high quality products. But to get it, not everyone can - it is necessary to have a special pass. If you want to make the pass in METRO Cash&Carry, provide the document confirming that you are a legal entity, the regional representative of the Russian organization or foreign companies, embassies or individual entrepreneur. Initially, the store was conceived as an affordable provider of products for small businesses, so that these groups of individuals is available. Next, write the application for issuance of a card. You have to fill in the questionnaire in the retail center or at the website store of METRO Cash&Carry. Do this carefully, in block letters or complete on the computer using Adobe Reader. Provide only accurate information, in the case that store employees understand that they are deceiving you, you can be in the black list and lose access to the store for a few years. A statement and supporting documents giving you the right to use privileges of wholesale purchases in the store METRO Cash&Carry, head to the nearest shopping center. They refer to the staff at the front office. Take a photo on the spot and receive their card. Immediately after receiving and activating the card you will be able to make purchases. Remember that some items you can only purchase in small bulk, then there are packages, not single. One organization shall be issued no more than five cards. One card allows you to visit the store not only its owner, but two of his assistant. The card is issued for a period of three years, must be replaced. At the moment the Internet is full of suggestions to make the map of the METRO without your personal presence third-party companies for a fee. The store METRO Cash&Carry warns to use such services. The card without your personal involvement is impossible, and such illegal cards instantly withdrawn from circulation and destroyed.